Since the introduction of Earth Day in 1969, the United States has been a leader in the “green movement.” People all over the country have said ‘yes’ to doing their part to prevent global warming and climate change, and to preserve our natural resources. Over the last 10 years there has been an increase in the manufacturing of sustainable building materials, both for commercial and residential use. 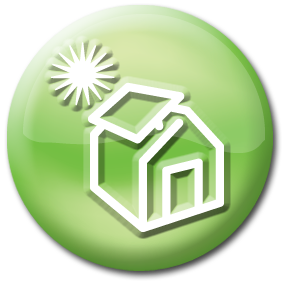 As more homeowners opt to use eco-friendly products in their home, more become available. The future of sustainable building materials looks bright. Should you be thinking about building your own house, you may want to consider skipping the wood framing and choosing a recycled steel frame instead. The Steel Recycling Institute (SRI) says their customized steel beams simplify the framing process. Steel frames are a great choice for home builders who live in areas of the country that are subject to high winds, heavy snows and earthquakes. What’s really exciting is that, while a common 2,000 square foot house would require 40 or 50 trees to build, a frame from recycled steel would require no more than the material that comes from six scrapped cars. On average, 65 tons of scrap steel are recycled every year, and this recycling process reduces energy consumption needed to make steel from scratch by 75%. It also saves space in landfills that can be taken up by old car and electronics parts. The production of insulating concrete forms is actually a 60-year-old technology that has seen a resurgence in recent years. But what are concrete forms anyway? The Portland Cement Association, one of the top makers of concrete forms, defines them as “cast-in-place concrete walls that are sandwiched between two layers of insulation material.” Essentially, concrete is poured into specific forms and these forms serve as insulation layers that remain in place as a permanent part of the building’s structure. But how do these concrete forms help the environment? 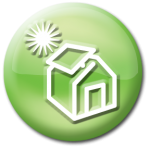 Well, an industry-funded study by researchers at MIT, the Massachusetts Institute of Technology, found that buildings made from insulated concrete forms saved 20% over the energy consumed by wood-frame buildings in cold climates like the North East. You come home from shopping, lugging 6-8 plastic bags full of groceries. What do you do with those bags once they’re unpacked? If you recycle them, they may become someone’s deck or patio. According to the National Association of Home Builders, this 50-50 combination of wood fibers and recycled plastics is less toxic and more durable than conventional treated lumber. The material is also much more rigid than regular plastic lumber because the wood fibers add extra strength. What does the “E” stand for in low-e windows? It stands for emissivity. Low emissivity is produced by painting on a clear coat of metallic oxide on the glass window which keeps heat inside the home in the winter and outside in the summer. Low-E windows generally cost between $60 and $110 each. That’s obviously quite a bit more than clear glass storm windows, but low-e windows definitely have benefits: They can reduce heat flow through the glass by half, and that will help reduce heating costs by 10 to 20%. 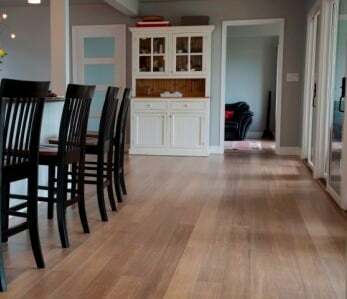 Well now, we couldn’t conclude this article on sustainable building materials without giving a proper shout-out to bamboo flooring. 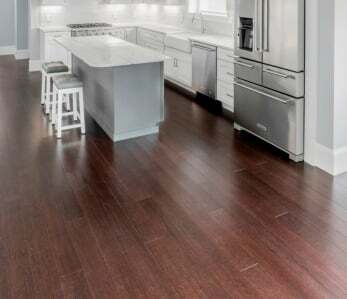 Here’s the thing: in the future there may very well be new types of , but there’s a very good chance that these various types of “green” floors may not appeal to everyone. 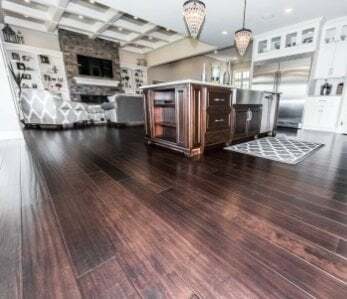 Cement floors are eco-friendly, so are cork floors; but the look and feel of these two floors does not appeal to every homeowner. 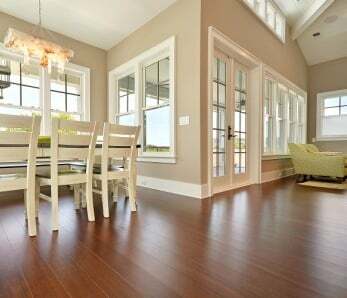 The beauty of is that it looks just like traditional hardwood flooring but is much more eco-friendly and budget-friendly. Bamboo, being a grass and not a hardwood tree, can regenerate itself in as little as 3-5 years. Compare that to the 30-50+ years it takes to grow 1 single tree, and you can see that bamboo is a truly sustainable choice. The future of sustainable building materials looks bright, and we’re happy and proud to be a part of that movement. 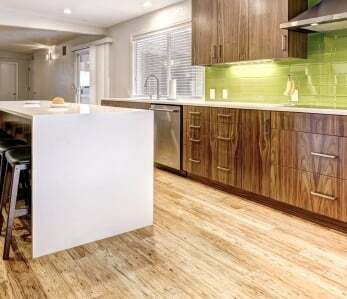 ‹ How is Bamboo Different from Eucalyptus Flooring?